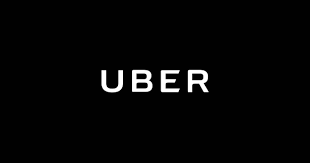 Dallas, TX – August 30, 2018 Alternet Systems, Inc. (USOTC: ALYI) today announced the company has seen an increased interest from prospective strategic investors since Uber announced a shift away from cars to electric bikes and scooters for short trips. Alternet Systems introduced a strategy last year to commercialize advanced energy storage technologies by integrating the technologies into specific products and services. Alternet’s leading project is housed in a subsidiary recently launched by the Company called ReVolt Electric Motorbikes. Alternet’s ReVolt has its first electric motorcycle in pilot production now. Uber has recognized the trend toward electric bike and scooter transportation within inner cities after Alternet had already launched a business strategy to deliver electric vehicles for this market with a special emphasis in Africa. Uber currently has 2 million regular users in Africa and 29,000 registered drivers. Alternet management reports that the company is receiving an increased number of emails and calls from investors interested in learning more about the ReVolt subsidiary. Management is optimistic that Uber’s move will result in an opportunity for Alternet to realize accelerated growth. Alternet recently published its Q2 2018 financial report with a statement from management on the company’s latest progress and developments. The company has established its first contracts and is generating early stage revenue. After its first year of operations, the company is adapting its technology strategy in response to lessons learned. The company is planning a communications strategy updated starting with a new website expected to launch next week.